The 2019 Mazda CX-9 didn't come with too many updates. But you'll still be pleased with some of the features that it's packed with. 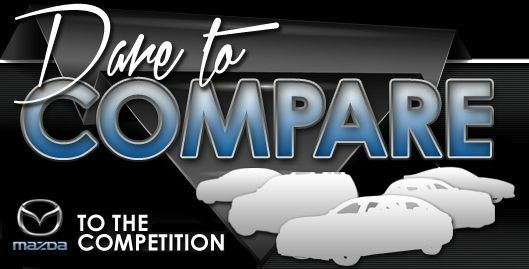 If you're looking for an affordable vehicle that looks like luxury and drives like a sports car, then you'll be pleased with this make and model. It also has plenty of safety if you're towing precious cargo around. It has plenty of advantages such as a good fuel economy, great handling, a beautiful interior, and superior acceleration. Other promising features of the 2019 Mazda CX-9 include its quiet yet sporty handling. People won't hear you zooming past their neighborhood. 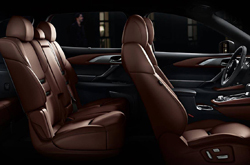 It has an upscale interior with its signature trim that makes it look like a luxury vehicle. While it has great speed and power, it's quiet enough to use on the highway. You won't attract the attention of the police, which makes this vehicle a plus if you like the look of a sports vehicle without the added sound effects. The Mazda CX-9 comes in four trim options: Sport, Touring, Grand Touring, and Signature. Each of these trim offerings come with a choice of FWD or AWD, while only the AWD is available on the Signature. It's a vehicle with luxurious features such as leather seats and steering wheel, rosewood interior trim, and LED accent lighting. 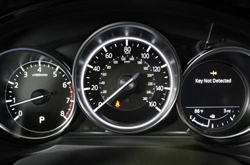 The 2019 Mazda CX-9 comes with high performance. It has a 2.5-liter I4 that produces 250 horsepower and 310 pounds of torque. This automatic vehicle can max out to six speeds. This is a desirable vehicle for the sports car enthusiasts. 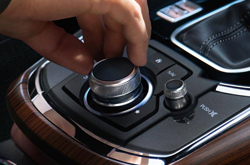 The 2019 Mazda CX-9 also has high ratings for its safety equipment, which includes lane-departure warning and lane assist. It comes with many safety features such as smart breaks, front-collision warning, traffic alerts, blind spot monitoring, stability control, and anti-lock brakes. In various crash tests, the Insurance Institute for Highway Safety (IIHS) gave the CX-9 high praise and superior rating for its crash avoidance and mitigation tests. The IIHS also gave this vehicle a Top Safety Pick rating. The CX-9 is one of the smoothest rides you'll ever have. While the seating is comfortable, the third row seats may not be spacious enough for adults. It's a small vehicle that packs a lot of power and boasts plenty of safety on highways and backroads. 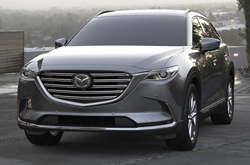 Contact us for more information on the 2019 Mazda CX-9 or visit Reliable Mazda, your Springfield dealership, to test drive this versatile SUV.